Oglaend System delivered cable ladders to all tunnels that are a part of the Ryfast project. The road link consists of three tunnels – Eiganestunnelen, Hundvågtunnelen and Ryfylketunnelen. Seeing as the project has a total length of 20,3 kilometres there were a great ammount of cable ladders required. Approximately 60,000 metres of TOE cable ladders were supplied to the Ryfast project. This revolutionary tunnel project has already broken several records, as the Ryfylke tunnel is now the longest and deepest subsea tunnel in the world. It stretches over 14,5 kilometres and its deepest point is at 292 metres below sea-level. 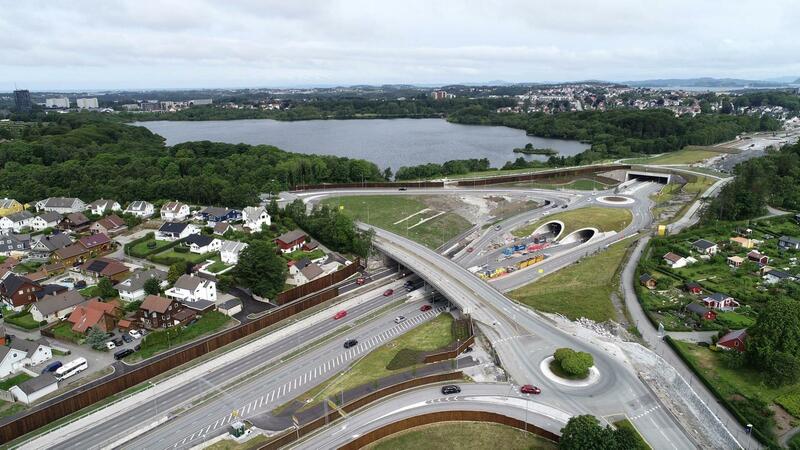 This tunnel connects Solbakk in Strand and Hundvåg in Stavanger and when it opens it will provide a road link between Ryfylke and Nord-Jæren. While the 5,7 kilometres long Hundvågtunnel will cross Byfjorden between Hundvåg and Stavanger and serve as a connection point between the Ryfast project and Stavanger. In addition, it will contribute to increased commercial activity in the region and dissolve congestion in Hundvåg. Eiganestunnelen connects to ends of the European route E39 between Schancheholen in the south and Smiene in the north. The new road will consist of four lanes that stretches over 5 kilometres, whereof 3,7 km of this is tunnel. The finishing process and electrical installation is well underway, and the aim is to open for traffic in the end of 2019.